We offer a choice of 4 different Christian Dating membership packages. 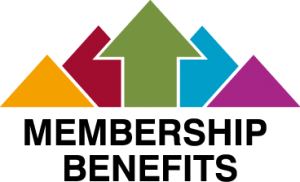 Each membership offers a suite of benefits designed to ensure your membership with us is a great success. View each package below – scroll down to view the prices at the bottom of each column – keep scrolling and you will see there is a choice of whether to save money by paying in one lump sum or spreading your payments over 12 installments. Joining our service, and having access to all the Christians on our books, could be the new beginning in life you need, providing you with access to a wide range of other genuine Christians all looking for someone special. If you need some advice about which membership would be best for your click here to arrange to talk to us or book a call with one of our team members who can help you select the best package for you. Christian Dating Membership with friendsfirst is a GREAT choice and we look forward to showing you why. Click here to read more detail on each membership feature. Still not sure which friends1st Christian Dating membership is right for you? Watch our ‘4 Memberships video’ which will help you further.